Gunder Jomann has led a quiet life in the small village of Elvestad in Norway. Well into middle age he has a steady job at an agricultural machine supplier and a nice house, but no life partner. After becoming enchanted with India through a book his sister gave to him he decides to fly to Mumbai to explore and to see if he can find a wife. Shortly after arriving he meets Poona, who works as a waitress in a cafe and shortly before he returns home they marry. On the day that Poona flies to Norway to meet her new husband, Gunder is prevented from meeting her at the airport. The next morning her battered body is found in a field, a short distance from his home. Nobody in the village can believe any of their neighbours capable of such an atrocity and they close ranks, leaving Inspector Konrad Sejer and his team to try and fathom what transpired and who killed the unfortunate Poona. Whilst ostensibly a police procedural, Calling Out For You has a somewhat different approach to most books in the sub-genre, focusing as much on the local community and how it reacts to a heinous crime in its midst as it does on the investigation. The result is a narrative strongly focused on exploring various characters and their interactions and the themes of uncertainty, doubt, suspicion and loyalty. Fossum nicely plays the heartstrings with respect to the doomed relationship between Gunder and Poona, and the tale has a strong emotional register throughout. Inspector Sejer is a reflexive policeman who steadily goes about his work, trying to build a case with limited evidence and cooperation. The scenes where he interviews a suspect are particularly nicely done, illustrating the subtleties of his approach. Overall, an engaging and unsettling read that provides some degree of closure, but leaves the reader with thoughtful questions to ponder. I liked this one very much too, Rob. Among many other things, I like the way it depicts small-town life in Norway. And you're right; lots to ponder here. 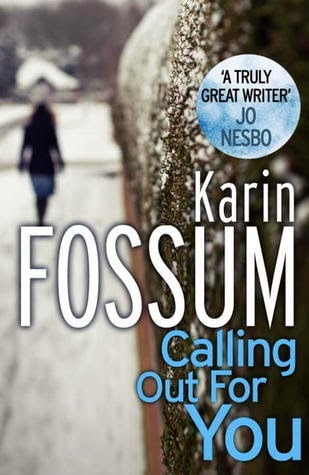 The first Karin Fossum I read and one of my favourites. I like the intercultural aspect of it and the quietly elegiac note throughout.